The Shiver Me Timbers Playground, situated right on the water, is a part of Millennium Park, also known as Bord du Lac Park. Originally, the site held a wooden playground that was funded entirely through public and private donations and built by over 6,000 volunteers in September, 2000. Unfortunately, the park was destroyed by a fire a mere four months later. Amazingly, volunteers rebuilt the park in less than a year, and it is now bigger and better. Twice the size of the original, the new playground was built with plastic materials and is accessible to disabled children. 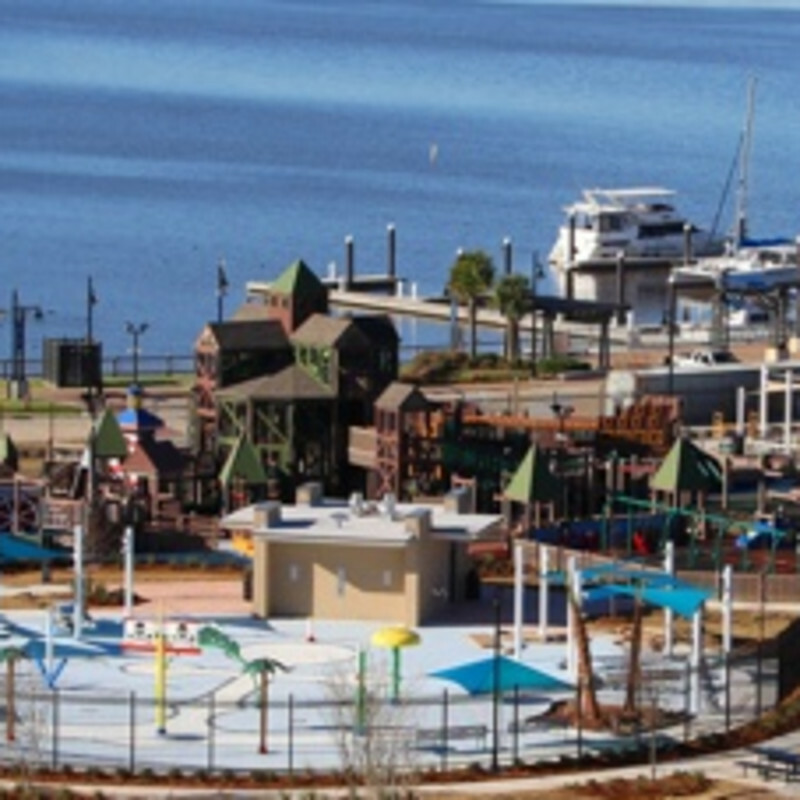 It features a 40-foot long pirate ship and a 20,000 square foot Eagle’s Nest structure giving children a view of the entire playground from the top.